Nothing says "THANK YOU" like Relaxation & Pampering! Beautiful atmosphere with friendly and professional staff. Where guests become treasured friends! 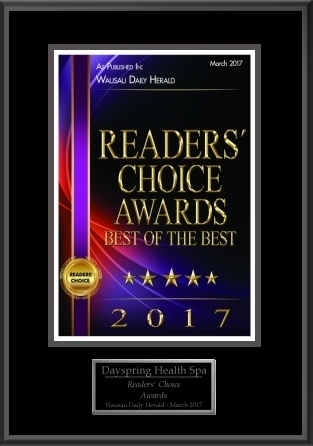 Dayspring Health Spa was again voted Best Spa by the readers of The Wausau Daily Herald for 2017. Our staff gratefully THANK YOU for your vote of confidence in Dayspring, where guests become treasured friends.